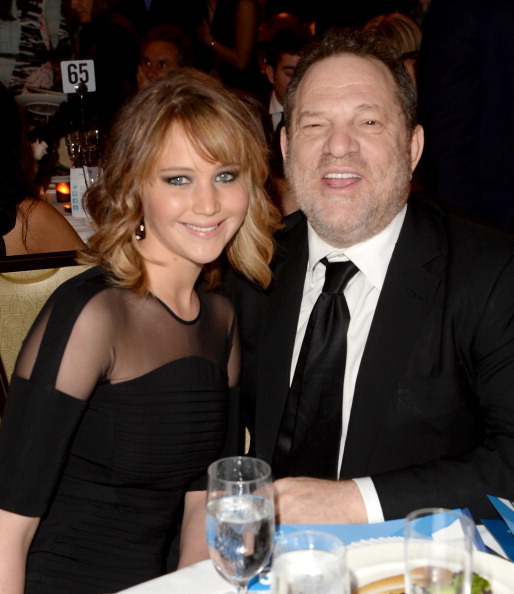 Jennifer Lawrence is speaking out and speaking loud about Harvey Weinstein…again. The disgraced producer is currently in the middle of a lawsuit against six actresses who are suing him for unwanted sexual conduct. In Weinstein’s legal documents, he used Jennifer Lawrence, Gwyneth Paltrow, and Meryl Streep’s names to build his defense, citing them as actresses he did not abuse. Streep has already shut down Weinstein for having the audacity to use her words to bolster his case, and now Lawrence has her own rebuttal. Lawrence released a statement in October 2017 in which she revealed that she was “deeply disturbed” by Weinstein’s behavior. Later, in December, Lawrence told Oprah that Weinstein “had only ever been nice to me,” which Weinstein’s lawyers twisted and highlighted in their defense (via The Blast). Weinstein’s lawyers are using the three actresses as examples of women who were not abused by him, and obviously, Lawrence is having none of that. Streep’s statement in response to learning that her name had been roped into Weinstein’s defense was similar to Lawrence’s. “Harvey Weinstein’s attorneys’ use of my (true) statement — that he was not sexually transgressive or physically abusive in our business relationship — as evidence that he was not abusive with many OTHER women is pathetic and exploitive,” Streep wrote. We stand behind both women and the countless others who are victims in this case. To quote Lawrence, we support these women by “all means necessary to bring him to justice whether through criminal or civil actions.” Time’s up, completely.